What did the police in California know about attacker before the YouTube shooting and could they have prevented it? We have evidence to believe that it was not a spur of the moment attack and more than one person knew about the Muslim, vegan, PETA member, woman’s vendetta and hatred of company. During our Brownell’s Bullet Points Guns and Gear segment, we will talk about rifles and optics. Specifically, at what distance should you zero the optic on your rifle. Also, for our SOTG Homeroom from Crossbreed Holsters, we considering what it means to be an armed and prepared citizen. We’ll highlight the mandatory 4 items and relate a story where one man was able to save a life. A Carl’s Junior employee is being heralded a hero for helping save a woman who had been shot in Tuesday’s attack on the YouTube headquarters in San Bruno, California. Supervisor Michael Finney, 21, was taking a bathroom break just after lunch when he heard shots ring out at the YouTube campus across the street. When he emerged from the bathroom, a woman who was heavily bleeding from the leg was being helped into the restaurant by two friends. Finney rushed over and tried to help stop the bleeding with the woman’s sweatshirt, but it wasn’t helping. 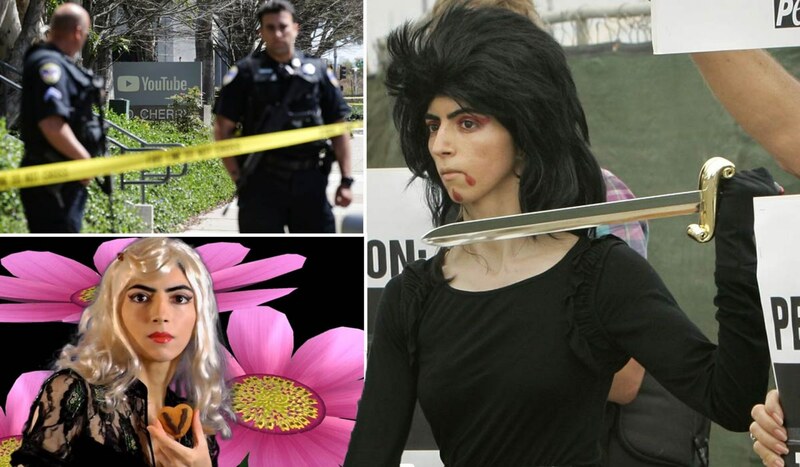 Nasim Najafi Aghdam of San Diego allegedly opened fire at the tech giant’s main campus in San Bruno on Tuesday afternoon, wounding three people before turning the gun on herself, according to police. Aghdam allegedly used a pistol in the shooting, and so far there’s no indication she had obtained it illegally, police said. The three victims were transported to Zuckerberg San Francisco General Hospital, spokesman Brett Andrew told reporters at a press conference Tuesday. At the time, a 36-year-old man was in critical condition, a 32-year-old woman was in serious condition and a 27-year-old woman was in fair condition. The 39-year-old woman who authorities say opened fire at YouTube’s San Bruno, Calif., headquarters, wounding three people before killing herself, had recently been reported missing by her family. Mountain View police said they spotted the woman, who goes by Nasim Aghdam, asleep in a car in a city parking lot early Tuesday morning, hours before the shooting, and notified her family. The woman who shot three people and killed herself at YouTube’s San Bruno headquarters bought the handgun she used in January ? apparently the first firearm she’d owned, authorities said Thursday. Nasim Aghdam, 39, legally bought the 9mm Smith & Wesson semiautomatic pistol on Jan. 16 from a gun dealer in San Diego, where she lived, said San Bruno police Cmdr. Geoff Caldwell. He declined to identify the dealer. Caldwell said Aghdam, an animal rights advocate and YouTube video maker who according to investigators and family members was angry at the video-sharing service long before Tuesday’s shooting, also bought at least two ammunition magazines.